Amazon Fire TV Stick has quickly become a very popular tool to be used to turn a normal dumb TV into a smart one. This feature rich tool can even make a TV rival a $2000 smart TV as well. The Fire TV can even replace a gaming console, and is now capable for 4K streaming too. Before you make the decision between buying either of these two gadgets, it is very important to know the difference as well. First of all, Fire TV Stick is almost twice the lesser price as that of the Fire TV, but it should be kept in mind that Fire TV has double the power and performance as that of the Fire TV Stick. It also has access to more games, and can output in 4K, compared to 1080P on the Fire TV Stick. Therefore, if you want to play a lot more games and want better performance, the Fire TV is undoubtedly a better option. 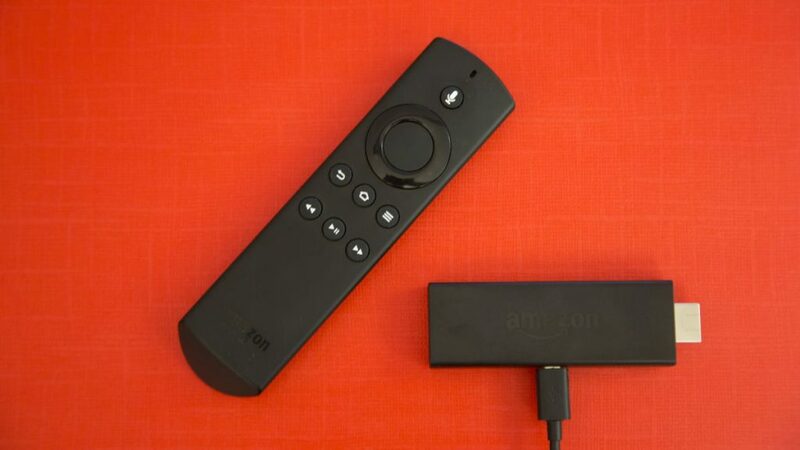 So, without further ado, let’s jump into some of the best tips and tricks for the Amazon Fire TV. Finding Shows On Netflix And iPlayer With Voice Control: You can now easily find shows on Netflix or BBC iPlayer with the help of Voice Recognition. It is also expected that Spotify integration will also be coming soon. Using Gamepad While Gaming: There are various gaming titles that play better with a gamepad. This is where the Fire TV Remote becomes very much complex for games like these. Games like GTA San Andreas, Riptide GP2, Minecraft Pocket Edition, etcetera. Involving Voice Control On Non-Mic Fire TV Variants: The Fire TV Gamepad can not only help you play your games in a better way, but also help you in using Voice Controls as well. The gamepad has an inbuilt mic that helps in voice recognition. Buying A Separate Voice Remote: If you bought one of the Fire TV Sticks that costs less, than you should know that you can always buy another separate voice remote to elevate your experience. It is much better built with soft touch finish and buttons being of higher quality. Using Third Party Controllers: If you’re not planning to buy a Fire TV Gamepad, you can always use PS4 Dualshock Controller, along with wired or wireless Xbox 360 gamepads. Xbox One controllers don’t work, unless you hack your Fire TV, which will void your warranty, and can brick your device too as well. So, proceed with caution. Sideloading Apps: Sideloading apps mean installing the apps manually. First you have to turn on ADB Debugging and Apps From Unknown Sources, from the Developer Options in the Settings menu. Then you have install Apps2fire, and finally you can proceed with sideloading apps on your Fire TV. You can also proceed to jailbreaking Fire TV Stick for free movies and TV shows. Using Alexa: With the introduction of Alexa, doing voice searches or controlling the device with your voice never have been more easy. You can even control Philips Hue lights as well with Alexa. Making Your Phone As A Fire TV Remote: There is an iOS or Android app that will turn your phone’s screen into a fire TV remote. It also turns your phone’s mic for using as a voice controlling option. Using Bluetooth Headphones: The Fire TV also supports media streaming to your Bluetooth headphones as well. This is indeed a great feature, when most media entertainment boxes don’t support such feature – like the Xbox One or the PS4. Screen Mirroring: If your home internet is fast, then you can easy cast your phone’s screen onto to your Fire TV. The experience is not perfect though, with minor lags, but still it’s very much usable. Adding Storage: The Fire TV only has 8GB storage, and there is option to expand via microSD card. There is also option to add drives or USB sticks as well. Deleting Voice Recordings: The Fire TV records everything you say via the mic of the Fire TV remote. Therefore, if you think that invades your privacy, then you can always proceed to delete the same by going to your Account, then Manage your content and devices, and finally Manage voice recordings.